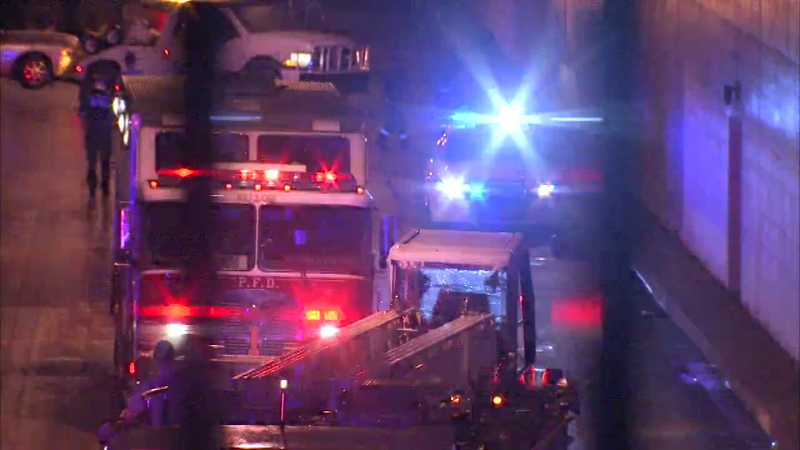 PENN'S LANDING (WPVI) -- Five Philadelphia firefighters have been released from the hospital after a tractor-trailer slammed into their hook and ladder truck, shutting down I-95 South near Penn's Landing for more than three hours. 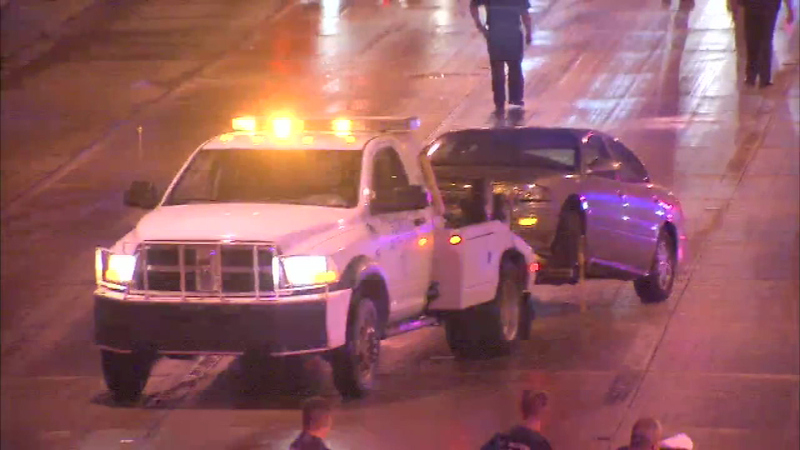 The crash happened at 3:20 a.m. Thursday in the southbound lanes of Interstate-95 just north of Washington Avenue. 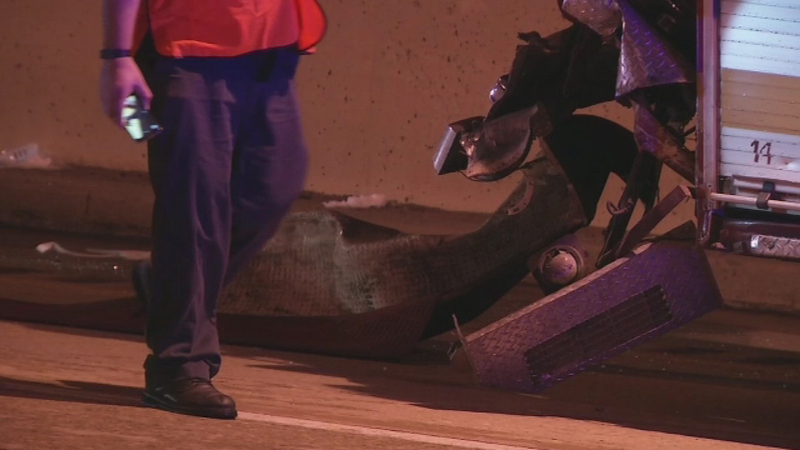 Five firefighters have been released from the hospital after an early morning crash that shut down part of I-95 South. 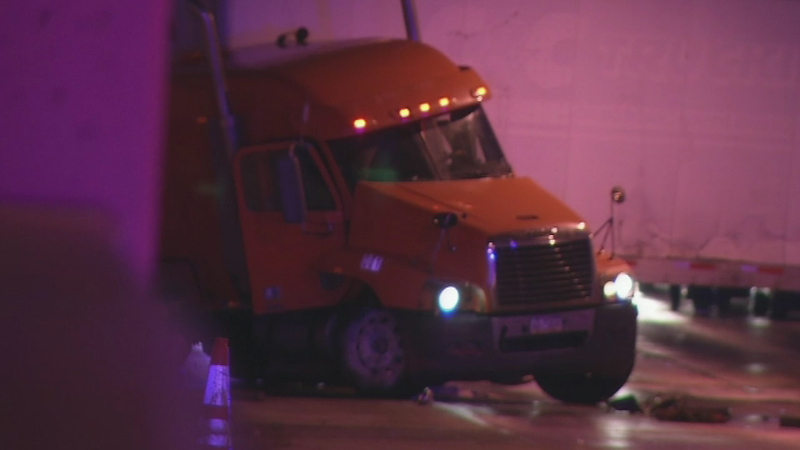 Police tell Action News the firefighters were on the scene of a two-vehicle accident when the driver of a tractor-trailer lost control. 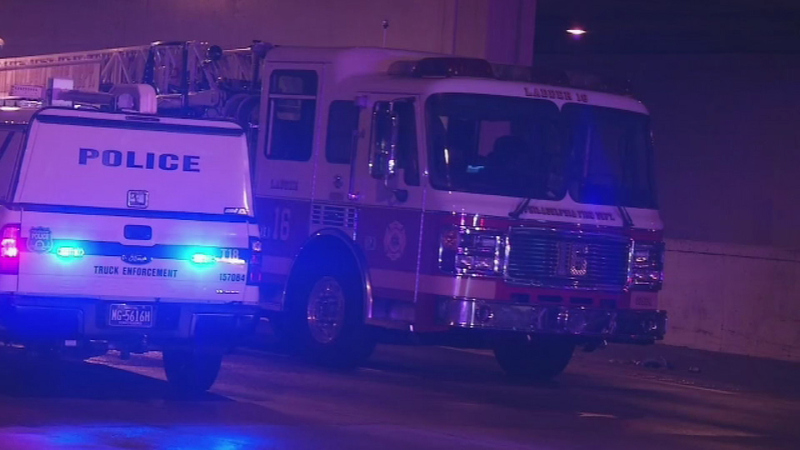 Philadelphia Fire Commissioner Adam Thiel said the ladder truck was in place to act as a buffer after responding to that two-vehicle crash, which had already shut down part of the highway. 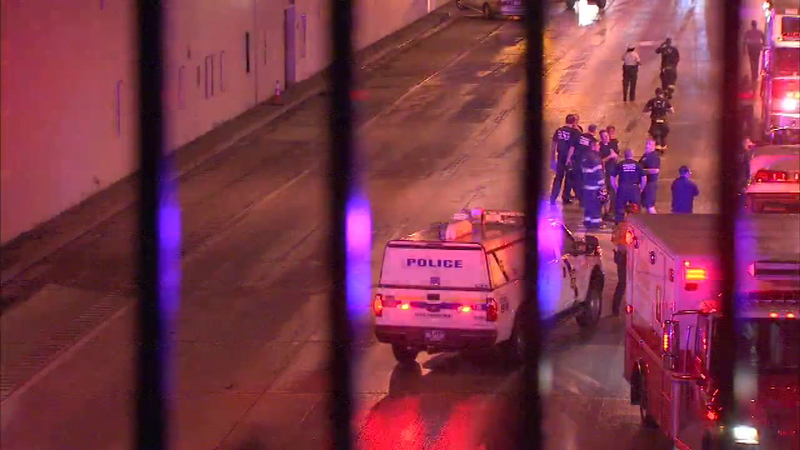 "We use the ladder to shield the scene on the highway so our responders aren't hit by vehicles," Thiel said. After the driver lost control, the big rig jackknifed. It struck the rear section of the 70-foot-long hook and ladder truck from Ladder 16. 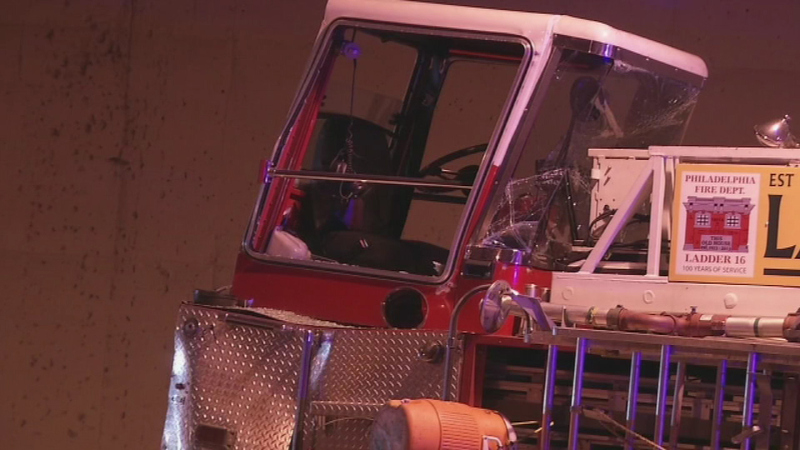 The impact of the crash pushed the fire truck 250 feet, with five firefighters inside. 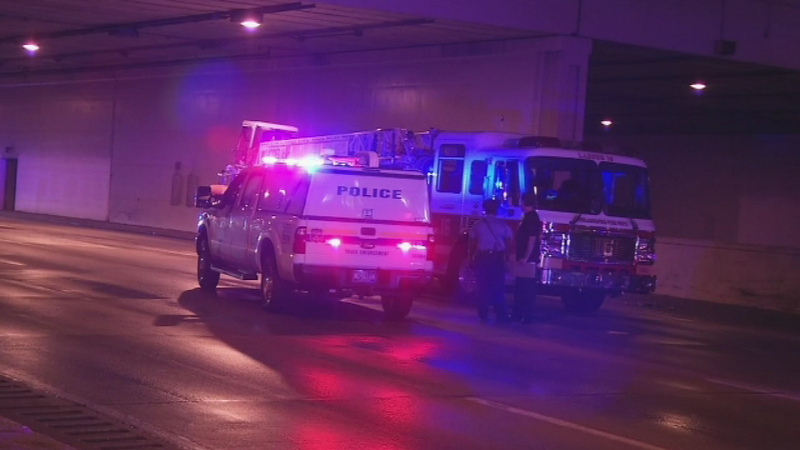 Five firefighters were injured in a crash on Interstate-95 Southbound at Penn's Landing. 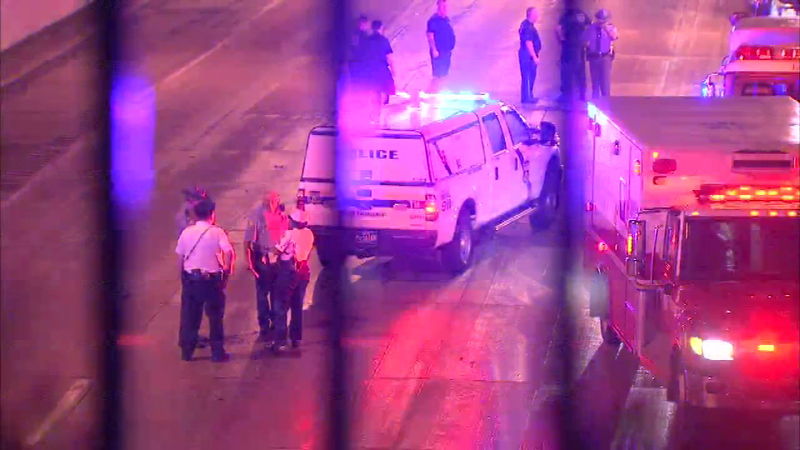 All five were taken to Hahnemann University Hospital, arriving in three ambulances. 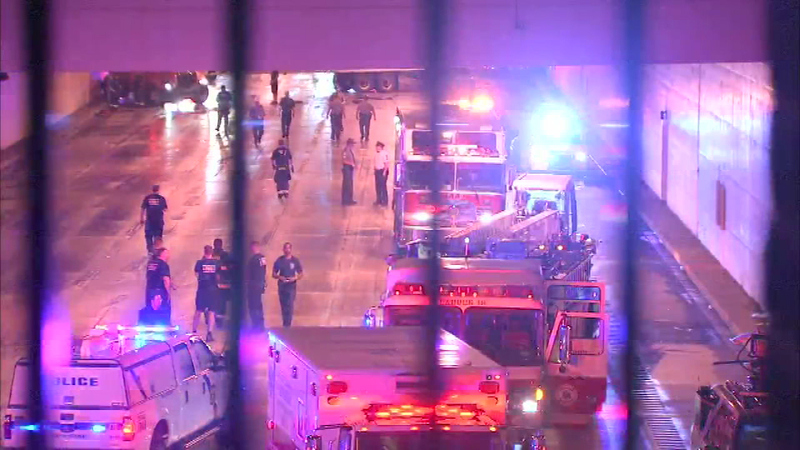 The first ambulance arrived at 3:47 a.m., carrying two firefighters: one secured to a gurney, the other in a wheelchair. Two minutes later the next ambulance arrived, carrying two more firefighters. 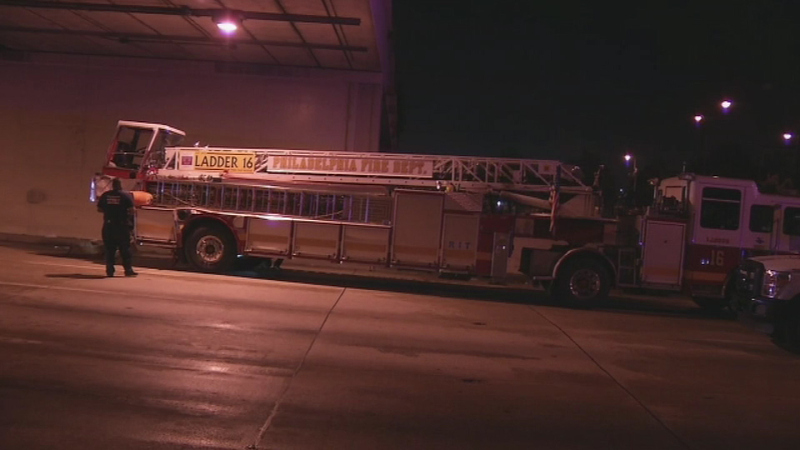 The fifth firefighter, Joseph Radday, who was behind the wheel of Ladder 16 at the time of crash, arrived at 4:07 a.m.
Union president Andrew Thomas told Action News if it weren't for Radday's quick thinking, the men may not have walked away from the crash. "The presence of mind to move ladder truck forward saved the lives of all our members," said Thomas. All five firefighters were treated for minor injuries and released from the hospital later Thursday morning. 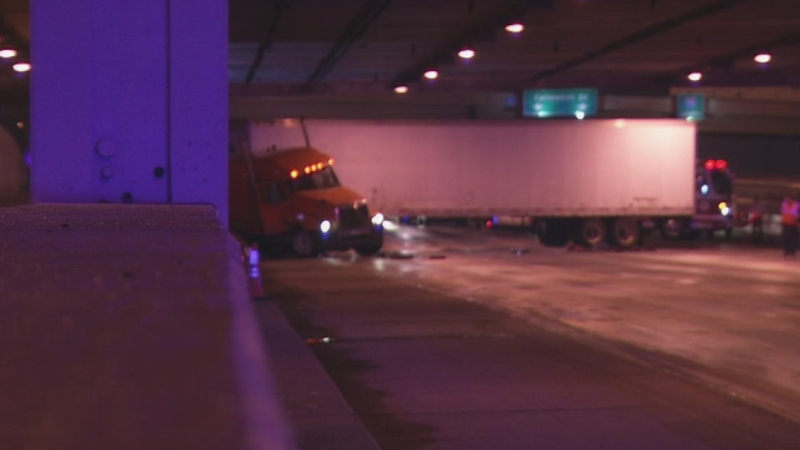 The driver of the tractor-trailer, whose name has not been released, was not hurt. There was no immediate word what charges, if any, he will face. All lanes of I-95 South were shut down at the crash site for more than three hours as crews worked to remove the jackknifed tractor-trailer and the ladder truck. 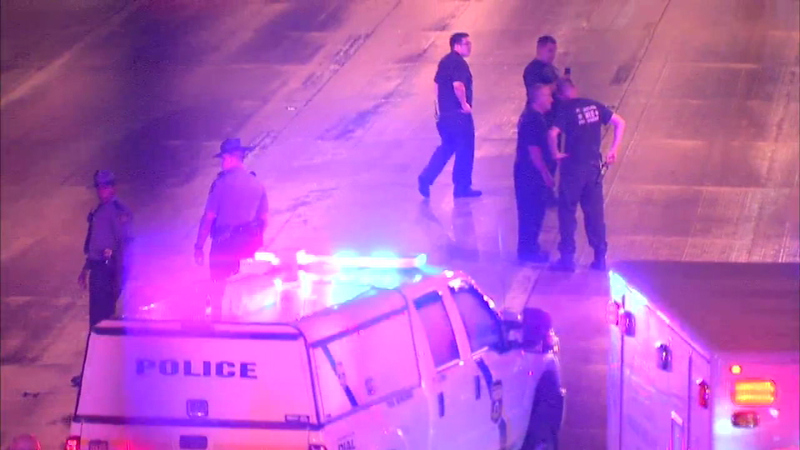 All southbound traffic was being detoured off I-95 onto I-676 West (Vine St. Expressway). CLEARED: Accident on I-95 southbound between Exit: I-676/US 30 - CENTRAL PHILA/CALLOWHILL ST and Exit 20 - Columbus Blvd/Washington Ave. 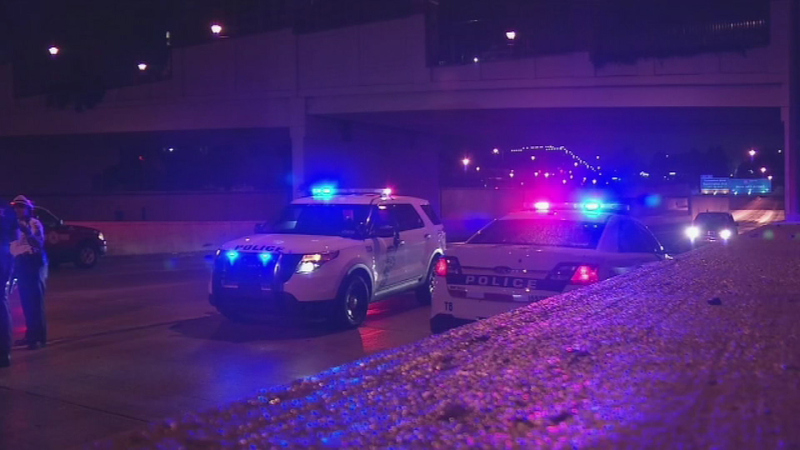 The jackknifed big rig was finally removed at 6:40 a.m. All southbound lanes were reopened shortly afterward, and traffic was flowing normally by 7 a.m.